After a weekend of shenanigans and debauchery at TPC Scottsdale, golf fans around the world will pick up all the empty beer cans strewn across their living room, put away the funnel and clean themselves off to prepare for a weekend at some of the most iconic and classical golf courses in America. The PGA Tour heads back to the Pacific Ocean to play the AT&T Pebble Beach Pro-Am in Monterey California. This tournament is one of the oldest on the schedule, first hosted by Bing Crosby in 1937 where he put up $10,000 of his own money so he and his Hollywood buddies could team with a professional for a whopping $500 first place price. The event became an official PGA Tour event in 1947 and is the most popular Pro-Am in the country. The tournament is also special because the PGA Tour takes a break from its seemingly never-ending venues with 7,200+ yard scorecards. All three golf courses in the rotation of the AT&T Pebble Beach Pro-Am are under 7,000 yards, making this one of the most wide open tournaments on the schedule as golfers from all walks of life are able to compete for the title. For the most part, the PGA Tour did a fairly good job re-configuring the schedule in 2019 to make it more logistically competent. But it wasn’t perfect, and some tournaments suffered unintended consequences as a result. The AT&T Pebble Beach Pro-Am might be one of those tournaments. It’s placed at the end of the Middle East swing on the European Tour that attracts not just the best players in Europe but also a few high profile Americans. Though a few are making the long journey to California this week, most have opted for a much needed break to get their circadian rhythms back on track. In addition, this event is sandwiched between one of the most popular events on the PGA Tour (the Waste Management Phoenix Open) and two high profile events in the Genesis Open and the WGC-Mexico Championship. Though there’s a few big names in the field due to their affiliation with AT&T, the overall strength of the field isn’t quite up to how it’s been the last few years. Highlighting the field is Dustin Johnson, fresh off his win in Saudi Arabia on the European Tour last weekend. Dustin Johnson dominates this event, winning back to back in 2009 and 2010 and also racking up another six Top 10 finishes. 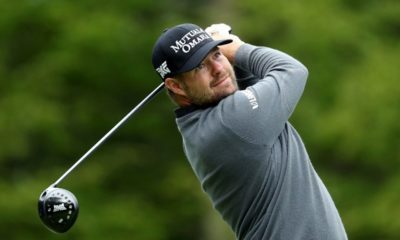 He also is well known for his epic collapse at Pebble Beach at the 2010 U.S. Open, turning a three shot lead over Graeme McDowell into a final round 82 to finish five shots off the pace. Joining him is another golfer who has a great history in this event. Jason Day recorded his first Top 10 on the PGA Tour in this event back in 2008 and has since added another four Top 10 finishes. With his fantastic short game and putting, this event normally brings out the best in him. Other notables in the field include a red-hot Matt Kuchar, Phil Mickelson, Patrick Reed and the struggling Jordan Spieth. As a former winner of this event, Spieth would be a big favorite to win under normal circumstances. The trio of golf courses that will host this event seem taylor-made to a golfer like him. But with all his struggles with his ball-striking and putting over the last year, his odds this week are definitely more depressed than usual. 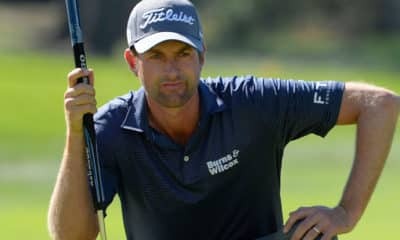 The field is very top-heavy (as evidence by a middling guy like Adam Hadwin going off at 45/1 this week), so chances are there will be several golfers in contention that more novice fans have never heard of. But one lesser known guy to the masses that’ll get his grand debut on the PGA Tour is Ho-Sung Choi. A regular on the Japanese and Korean tours, Ho-Sung isn’t this young prodigy about to take the world by storm. He’s a 44 year old former fisherman who didn’t start playing golf until he was 25. He took up the game of golf after severing his thumb (and later re-attaching it) in a chainsaw incident while carving up a freshly caught tuna, ending his days on the seas. Because of his injury, Ho-Sung has a…how should I say it…a unique swing to generate enough speed to compete professionally. It’s a swing that’ll make Butch Harmon cringe, but it works! And with as much swag and charisma that he carries in his game (though some have speculated he’s hamming it up on purpose now) he’ll be a big fan favorite this weekend. Lastly, as a Pro-Am format this tournament attracts a ton of celebrities and athletes to the proceedings. Notable celebrities and athletes playing this weekend include Aaron Rodgers, Wayne Gretzky, Tony Romo, Matt Ryan, Darius Rucker, Ray Romano, and Alfonso Robiero, which I’m going to set the over/under on “Times We See the Carlton on the Telecast” at 6.5. As mentioned previously, the AT&T Pebble Beach Pro-Am has the exact same format as the Desert Classic in Palm Beach, as all the players rotate to three golf courses in the area before the field is cut to the Top 60 and ties after the third round. The most famous of the golf courses played in the rotation is Pebble Beach, one that is likely on the bucket list of every amateur golfer. The golf course was first designed by Jack Neville and Douglas Grant in 1919, and later revised by H. Chandler Egan, Alister McKenzie (who helped design another golf course you may have heard of – Augusta National) and even Jack Nicklaus when he redesigned the 5th hole in 1998. 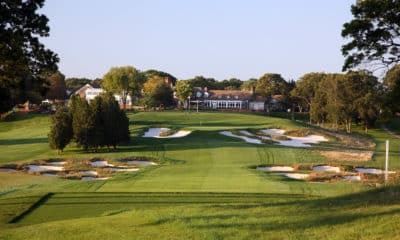 Besides being a mainstay on the AT&T Pro-Am rotation, the golf course has hosted numerous major championships, as well as several USGA Amateur Championships. Jack Nicklaus won the 1961 US Amateur at Pebble Beach and ten years later won the first U.S. Open hosted there. Tiger Woods went completely berserk in 2000 at the U.S. Open, carding a winning score of -12 to win by an astronomical fifteen shots over runner up Miguel Angel Jimenez. And as previously mentioned, Dustin Johnson blew a three shot lead here in 2010 to give Graeme McDowell his first and only major championship victory. After beginning the round inland, the golf course opens up to the coastline where the golfers can enjoy spectacular views of the Pacific. Unlike Pebble, the fairways of the golf course are almost serpentine from tee-to-green, setting up for some interesting angles into the green depending on the pin position of the day. The golf course can play tough if the winds are up, but historically this course plays as the easiest of the three in the tournament. The last golf course (and the toughest of the tournament) is Spyglass Hill. Spyglass was built by Robert Trent Jones in 1966 and has been a part of the tournament rotation every year since 1978. The golf course was originally named Pebble Beach Pines Golf Club, but was renamed in 1969 after a place in the book Treasure Island. Additionally, every hole on the golf course is named after a place or person in the book. The round starts off with a bang as the first five holes have fantastic views of the ocean and surrounding sand dunes, most notably with the 4th hole that features a 55 yard long, 9 yard wide green. Anyone who hits this green in regulation should automatically move on to the final round. But after the first five holes and the course moves inland and through the forest, the rest of the round is very ordinary. This course is my least favorite of the three, which isn’t surprising as I’m not a big fan of much of the Jones Family Catalog of golf courses. 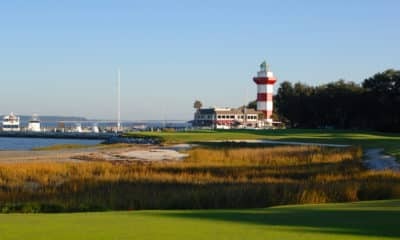 Still, this tournament boasts some of the most quality golf courses on the PGA Tour and is an absolute delight to watch. Unfortunately, CBS will do the best it can to ruin the telecast by turning away from the action every 15 minutes so Jim Nantz can listen to Larry the Cable Guy crack the same tired jokes he’s said for the last decade. Because all three golf courses come in at less than 7,000 yards, both long hitters and short hitters can find success in this tournament. Though the fairways are fairly generous (especially at Pebble Beach), you’ll see a lot of golfers opt for less than driver off the tee because of the angle of the hole and positioning of hazards. Longer hitters are definitely more willing to keep the driver in the bag, as they can put a 2 iron out into the fairway some 270 yards and leave themselves a comfortable wedge into the green. Speaking of which, the greens at all three courses are very small, so even the best iron players will miss their fair share of greens in regulation. In recent years, guys who typically rank highly in scrambling categories (especially out of bunkers which are all over the golf course) tend to fair well in the tournament. Additionally, the greens feature poa annua grass and run fairly slow on the stimpmeter. Typically, poa annua is a tough surface to putt on because it gets bumpy and doesn’t roll true like a bermuda or bentgrass green would. Additionally, the slow greens mean that putters who have better control of their speed and tempo find more success here than those who struggle. Lastly, the weather is usually a factor in this event and this weekend is no different. The area has been soaked by rain over the last week, meaning that the already slow greens will run slower and the courses should play slightly longer with no roll out in the fairway. It’s also going to be chilly all weekend with temperatures not expected to climb above 60, reducing the carry on tee shots and approaches even more. The worst of the weather looks to be on Sunday when everyone reconvenes at Pebble Beach for the final round. Winds are expected to be 10-15 MPH and temperatures dropping to the low 50’s. Because of the weather, look to break ties on DraftKings or on matchup props by consulting resources with strokes gained data in cold weather and windy conditions.